Thanks to an anonymous donator we can now transport sick and/ or needy animals in our own car. This vehicle will certainly make our job a lot easier and we will be able to act a lot quicker in urgent situations too. U saradnji sa Fider petshop-om, 12. aprila 2018. realizovali smo akciju prikupljanja hrane, lekova, vitamina, kao i finansijskih sredstava. Prikupljeno je 5.260 din. 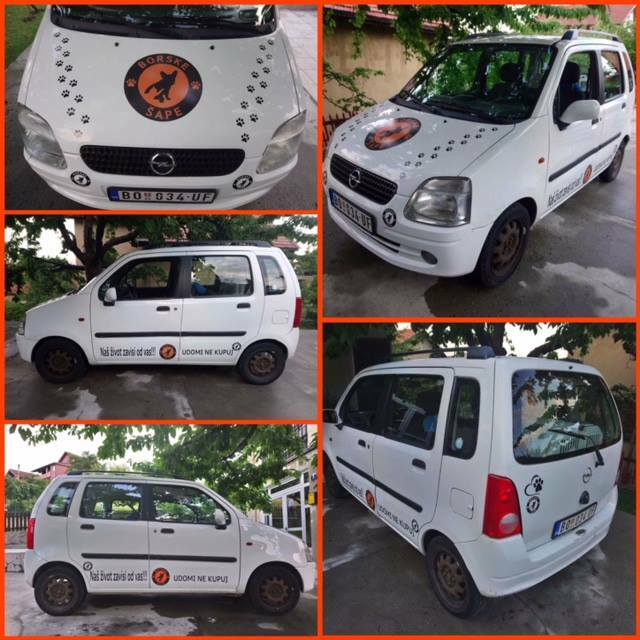 i 70 franaka, a sav novac biće iskorišćen za plaćanje računa u Veterinarskoj stanici Bor. Zahvalnost dugujemo Televiziji Bor za medijsku podršku, Resource centar, strankama Dveri i Dosta je bilo koji su nam ustupili štandove, Mariji Grujić za oslikavanje štandova, Nini (džak granula), Mišelu (Anima strath), Nataliji (fotografisanje), Danijeli (plaćeni računi u vrednosti 6.000 din) i drugima koji su doprineli akciji. Posebna zahvalnost ide našim volonterima – Nyla, Sarah, Sanja, Ivana, Stefana, Marija i Nikola. Više fotografija o ovoj akciji pogledajte na našoj Fejsbuk stranici. 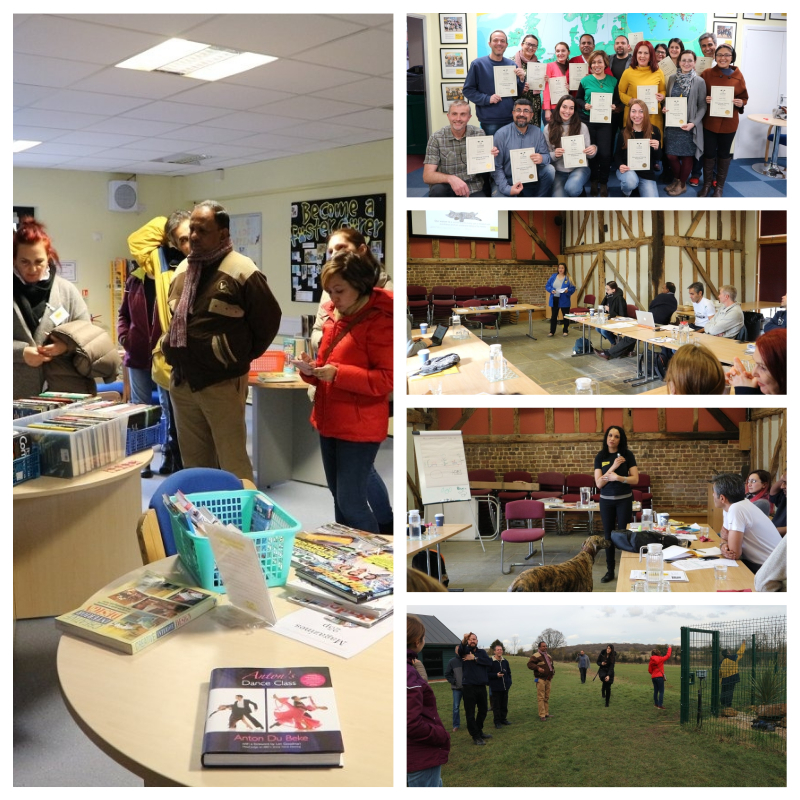 In the beginning of March 2018. the member of our association Marija Samardžić has participated on the international seminar in London, in organization Dogs Trust Worldwide. New contacts were acquired along with a lot of new and fresh ideas that association will use in the future. 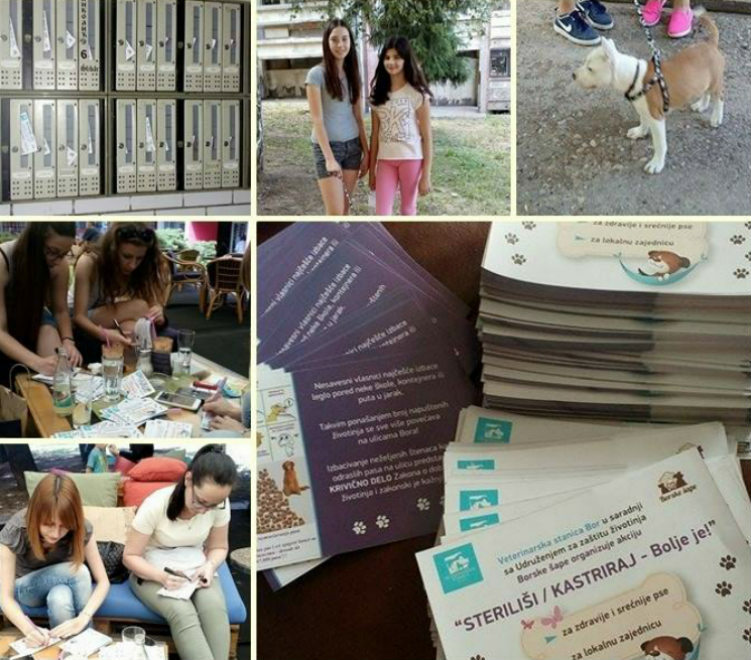 In February 2018. , in our public library we held a convention called “Prevention is the key regarding your pet’s health” with help of veterinary station Bor. 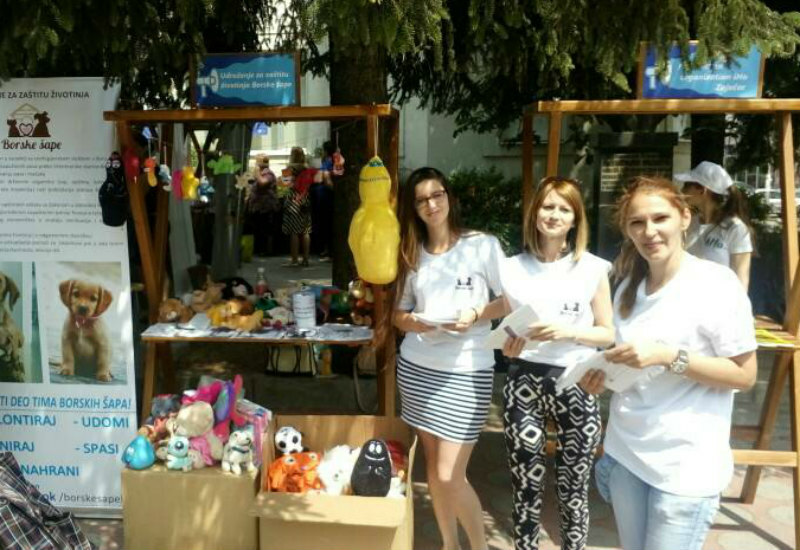 Veterinarians Marija Rodić and Sonja Bojović were talking to the pet owner about possible diseases, way of treating and most important how to prevent certain diseases. Also, with our audience and pet owners we shared flayers that are educational and that rise awearnes for responsability for our pets and stray animals. 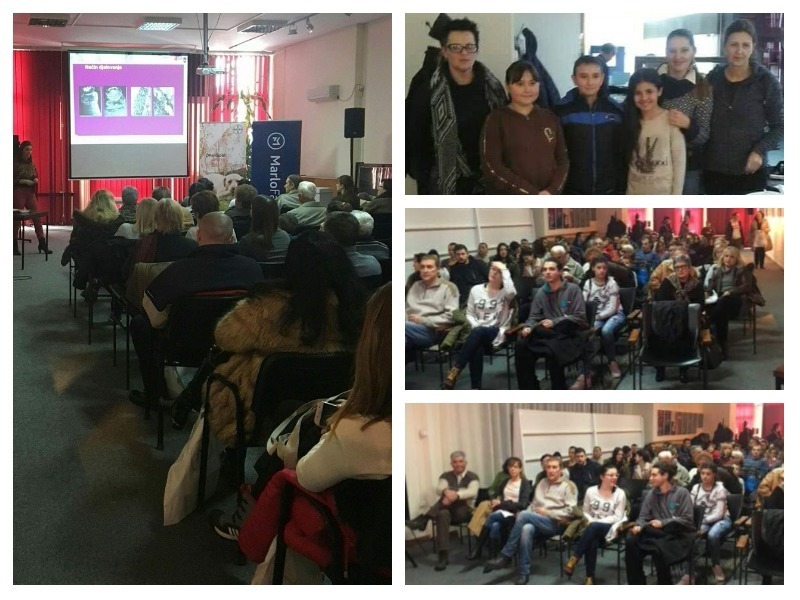 In these few days we realized lecture by Miroslava and Damir Orlović from DZŽ Đurđevo, that was focused on main animal rights, spaying and neutering. These lectures were held in all elementary schools in Bor, and other smaller areas like Zlot, Krivelj, Metovnica, Brestovac and Šarbanovac. Animal lovers from abroad donated kids clothing and footwear, that can be purchesed, and with each purchase you or your loved ones can help our stray dogs. 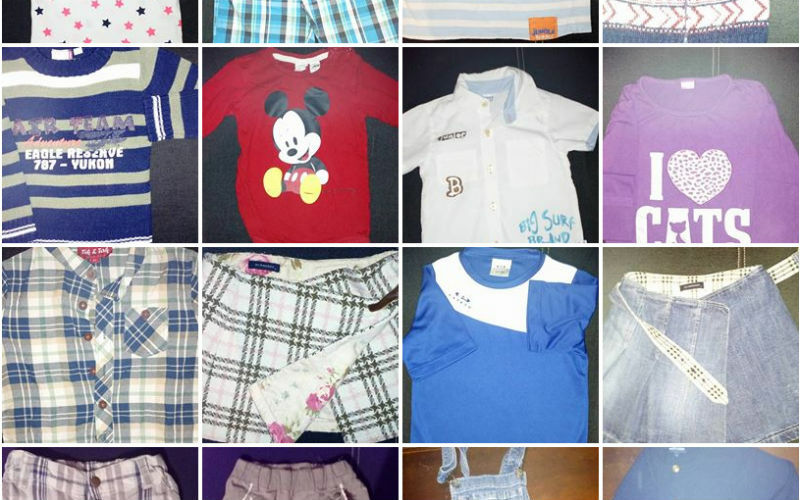 By clicking on the photos you can see all the products that can be purchesed. In Jun 2017. we shared over a hundred flayers to our citizens. The goal of this activity was to spread awearnes for spaying and neutering, and how important it is and its advantages. 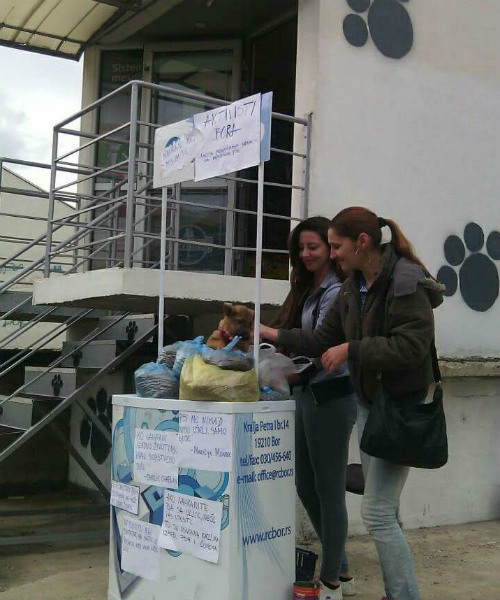 Members of our association Maja and Marija were collecting aid for stray animals mostly in form of food. 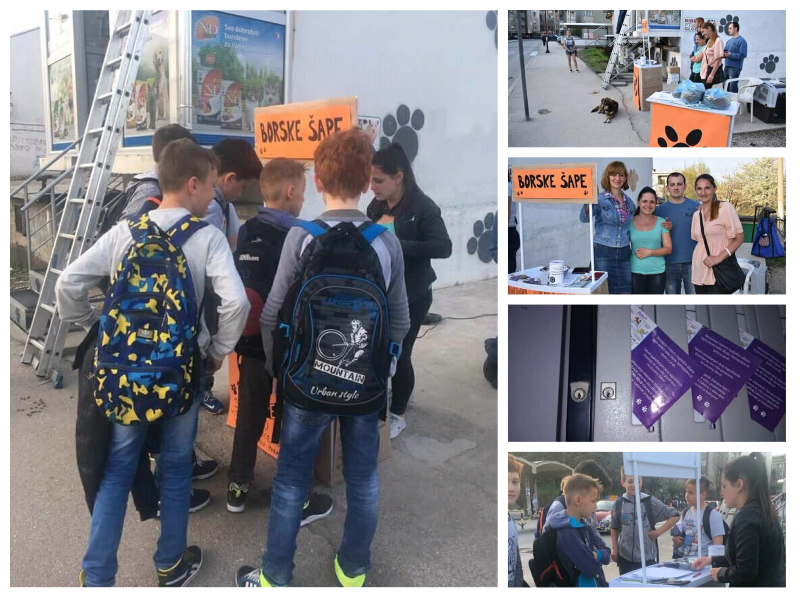 In organization with RARIS, association fair was realized, where our association Bor’s paws shared the work that was accomplished, among many other associations from East Serbia.